Upon completion of her training in both pediatrics and medical genetics at Montefiore Medical Center, Dr. Samanich joined the faculty here and is currently Director of the Craniofacial Center, the 22q11 Deletion Clinic, the Hearing Genetics Clinic and the Williams Center at The Children’s Hospital at Montefiore. She works within multiple disciplines in all of her roles to provide optimal care for children with complex genetic disorders. In the laboratory of Dr. Bernice Morrow at Albert Einstein College of Medicine, Dr. Samanich is researching the genetics of hearing loss. She has focused her work on uncovering the etiology of hearing loss in the Caribbean Hispanic and African American populations served at Montefiore. She also works with Dr. Morrow to study the genetic etiology of multiple congenital anomalies and intellectual disabilities. 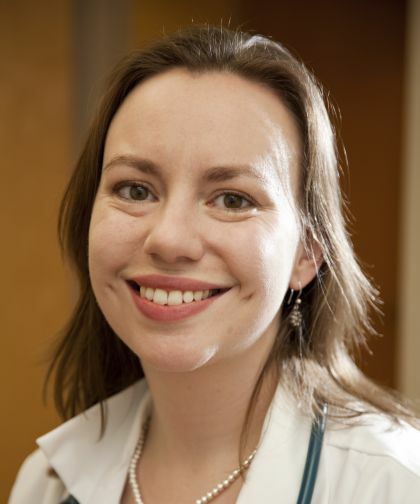 In addition, Dr. Samanich is actively involved in training the medical genetics residents, pediatric residents and genetic counseling students at Sarah Lawrence College, where she is an adjunct faculty member. Additionally, she co-directs the Introduction to Medicine course for first-year genetic counseling students at Albert Einstein College of Medicine.